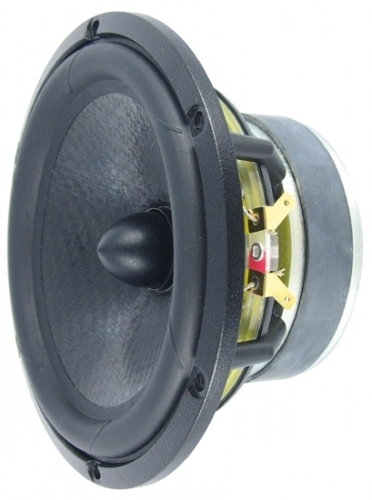 U16RCY/P is a 5” High Fidelity woofer with an injection molded metal chassis, intended for bass reflex and transmission line designs. The new Curv cone, a woven polypropylene with excellent internal damping together with perfectly matched moving parts gives a smooth, extended frequency response. A unique radial reinforced low loss rubber surround reduces radial resonances and prevents surround break up at large excursions. Extremely stiff and stable injection molded metal basket, keeps the critical components in perfect alignment. Large windows in the basket both above and below the spider reduce sound reflection, air flow noise and cavity resonance to a minimum. The T/S parameters are measured both when the driver units are cold and when warmed up with a 1 hour stress stimulus at 5.66V. The warmed up driver units are rested for 2-3 minutes before they are measured. Good consistency between the two driver units. Lower DC resistance and higher resonance frequency than the official SEAS specification. Almost identical impedance between the two driver unit samples. Small bumps in the impedance plot can be seen between 0.8-1.4kHz, indicating some sort of resonance problem. The resonance frequency is lowered by 2-3Hz in the “hot” measurement, but otherwise they have the same response curve as the “cold” driver units. Driver position: Mounted on center-line with driver unit center 21,5cm from the top of the baffle. 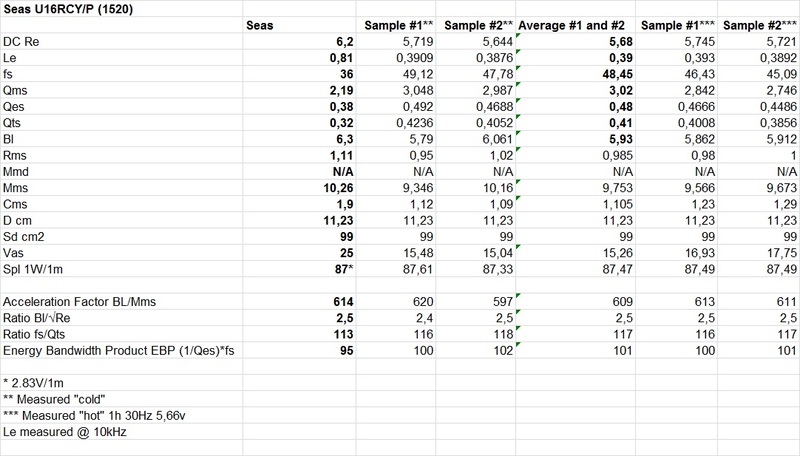 Very nice consistency between the two driver unit samples. The anomalies between 0.8-1.4kHz in the impedance, distortion and frequency plots is most likely caused by some sort of cone-edge resonance. Very smooth frequency response from 1.5kHz up to 5kHz. A minor cone break-up is visible at 4.8kHz, but far less severe than official SEAS specification. The mid-woofer can easily be used up to 3kHz without sacrificing any off-axis response and frequency dispersion behavior. The mid-woofer has very low distortion in the lower frequency scale, but it clearly has some distortion issues in the mid-range. 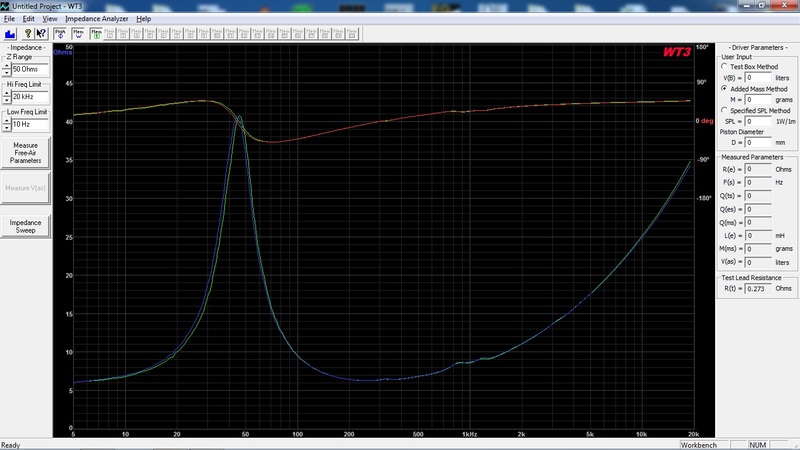 It has an elevated second-order harmonics centered on the cone-edge resonance, but it also have an elevated and more severe odd-order distortion in the same frequency region. This distortion will most likely influence the mid-range and contribute to the drivers overall sound character. How much will depend on the cross-over implementation.